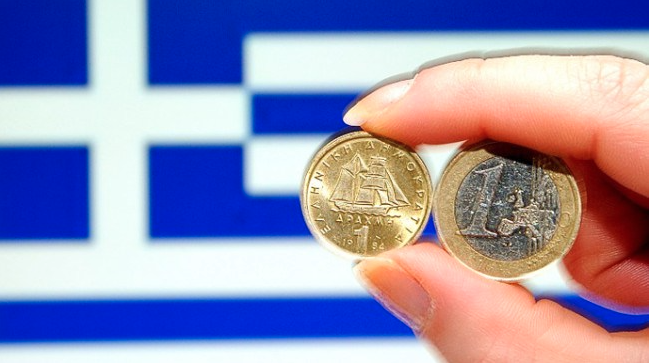 What Happens if Greece Leaves The Euro? Home BlogPoliticsWhat Happens if Greece Leaves The Euro? This week, the world’s eyes are focussed on Greece as it prepares to hold a crucial referendum on how to proceed. While the Greeks are deciding what’s best for their nation, international markets and investors are listening in. Here, our Hertfordshire financial advisors will discuss what the impact of Greece leaving the euro would be for the international money markets, and whether this will have any impact on your personal investments or pensions. If the Grexit proceeds, it will need to establish a new currency as a priority. This is not a straightforward task, but one that could be beneficial for Greece, despite not being cost-free. With a national debt of €320bn, the country needs to act fast, and with the deadline looming for the nation to reach a deal with its creditors and making a €1.6bn IMF payment, or risk losing its €7.2bn bailout fund. While some internal to the government believe a last-minute deal at 5 to midnight is on the cards, others are less optimistic, resulting in a ‘no-deal’ and the introduction of a new currency. According to David Puth, CLS chief executive “The introduction of a new currency is complex when done in a planned way”, he says. “When done suddenly and under duress, the process will be disruptive with many unintended consequences that cannot all be anticipated.” Ultimately, this means that whichever route Greece takes out of its troubles, it will not be straightforward. It will take time, and there will be ups and downs, resulting in chaotic market reactions. The impact of Greece leaving the euro could be sizable. It might even change the dynamic of the Eurozone that’s existed since its conception: that Eurozone membership is a club you can join but cannot leave. This has a trickle down impact on all those with investment interests in the eurozone, including private investors and corporations with exposure to the territory. According to FT, an example would be a non-Greek manufacturer whose assets and revenue are in their native territory, but whose financing is done in euros. For Greece’s sake, forex experts like James Wood-Colins, chief executive of Record Currency Management, believe the nation should establish re-denomination swaps that would establish the exchange cost of moving from euro to a new domestic currency. This would, in his words “put a price on the likelihood and impact of a country leaving the eurozone”. So what does all this mean for UK investors? Our Hertfordshire financial advisors will act as your guide through this troubling time, steering you through the murky waters to a strong investment portfolio. If your portfolio reaches into the eurozone, consult your portfolio manager. Our Hertford financial planners can help you to minimise your exposure to any damage caused by the Greek exit. Speak with one of our financial advisors today.